What is Earth Hour? Do not know what’s Earth Hour? Read below to understand more. Earth Hour is an annual international event created by the WWF (World Wide Fund for Nature/World Wildlife Fund), held on the last Saturday of March, that asks households and businesses to turn off their non-essential lights and electrical appliances for one hour to raise awareness towards the need to take action on climate change. 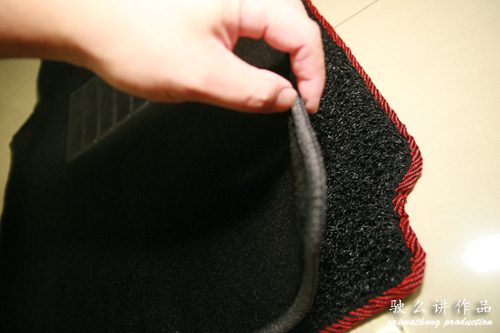 It was pioneered by WWF Australia and the Sydney Morning Herald in 2007, and achieved worldwide participation in 2008. Earth Hour will next take place on Saturday, March 28, 2009 at 8:30 pm, local time. 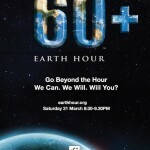 62 countries including Malaysia have committed to participate in WWF’s Earth Hour in 2009. This will be the first time Malaysia officially takes part in Earth Hour and our Prime Minister, Dato’ Seri Abdullah bin Ahmad Badawi has indicated his support and endorsement of Malaysia’s participation. The campaign, which hopes to reach out to more than one billion people in 1000 cities around the world, encourage individuals, businesses and governments to switch off lights for just one hour on Saturday March 28, 2009 at 8:30pm to convey their support for action on climate change. Cities already committed to Earth Hour include Los Angeles, Las Vegas, London, Hong Kong , Sydney, Rome, Manila, Oslo, Cape Town, Warsaw, Lisbon, Singapore, Istanbul , Mexico City, Toronto, Dubai and Copenhagen. 2009 is a critical year in terms of the political decisions that will be made at global climate negotiations in December 2009. Earth Hour, aims to highlight the voice of the people of the world and represent a visual mandate for meaningful policy on climate change. Besides that, where will you be this Saturday during the Earth Hour? Some ppl suggest that go Lookout Point @ Ulu Langat or any hill side that can have an overview of Kuala Lumpur and take photo or even video of the history moment and I guess it will be awesome?! yeah where will you be? Help us reach the Malaysian target of 5 million sign-ups. Please register at http://www.earthhour.org/malaysia to sign up and pledge your support towards Earth Hour! What are you willing to do to save the planet? 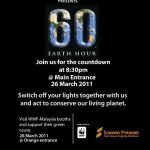 Support Earth Hour 2012! 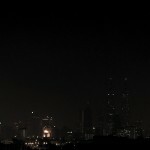 Saimatkong Supports Earth Hour 2011 – Switch off your lights! 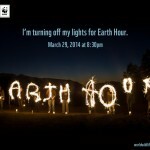 Earth Hour 2014 – Switch off your lights!